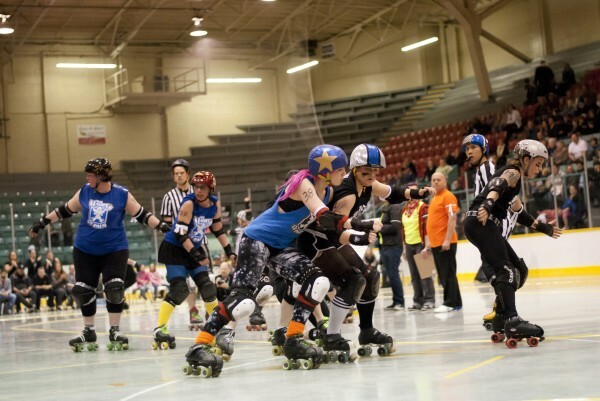 History was made on Saturday night when the first ever travel roller derby bout was held in Windsor. 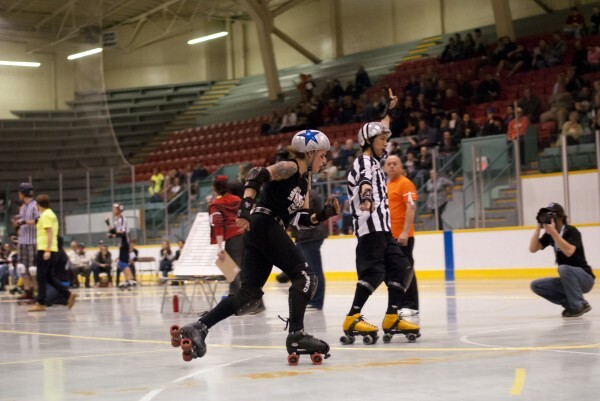 At Windsor Arena The Border City Brawlers took on Our Ladies of Pain from Guelph in the home team’s second-ever bout and first one on home territory. 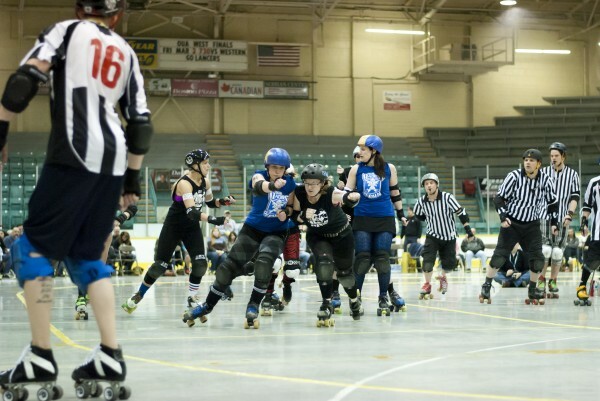 For those unfamiliar with the sport of roller derby, it’s a ladies-only affair where players score points by passing each other on a flat track. The full details of exactly how the game is played can be found here, but it’s easy enough to pick up while watching. 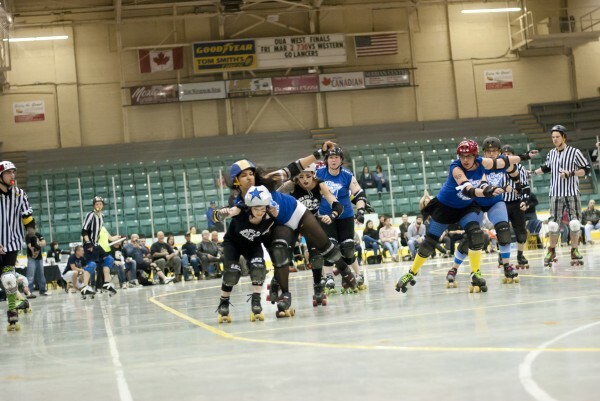 A full-contact, high intensity, high-energy sport, this is some quality entertainment brought to you by local players, volunteers, and sponsors. This particular bout was exciting from it’s fast start to nail-biting end. 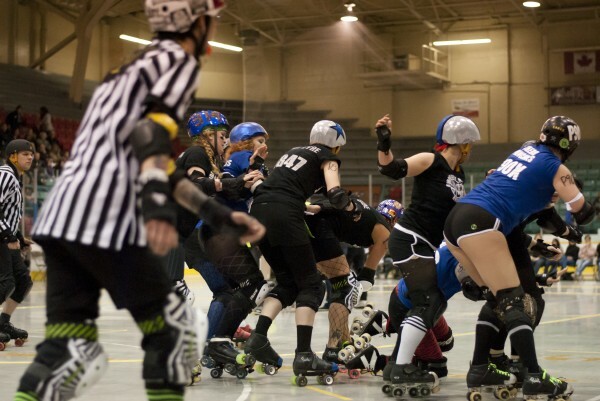 The first period saw the lead shift back and forth between teams, with Our Ladies of Pain starting off strong, only to have the Brawlers quickly catch up. 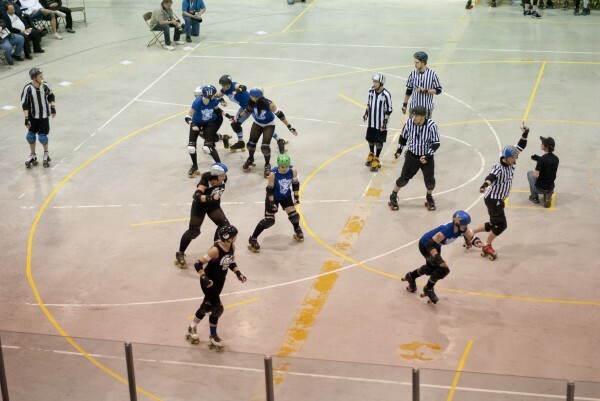 At half-time the score was 39-53 in favour of the home team. 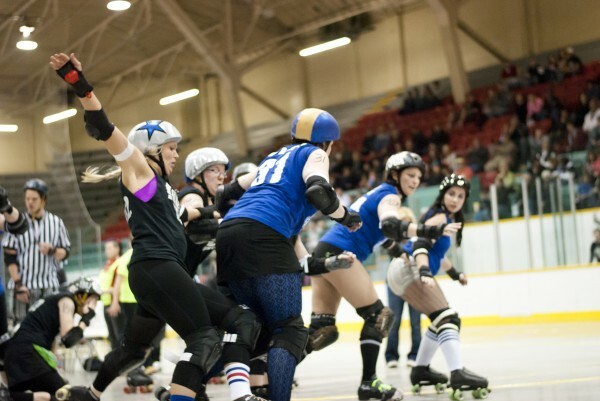 The gap grew steadily to a point where it seemed our ladies had it in the bag, but as the game drew to a close, Guelph stepped it up. With two minutes left in the match the challengers put in all they had, and by the time only thirty seconds were left on the clock Windsor was only two points ahead. 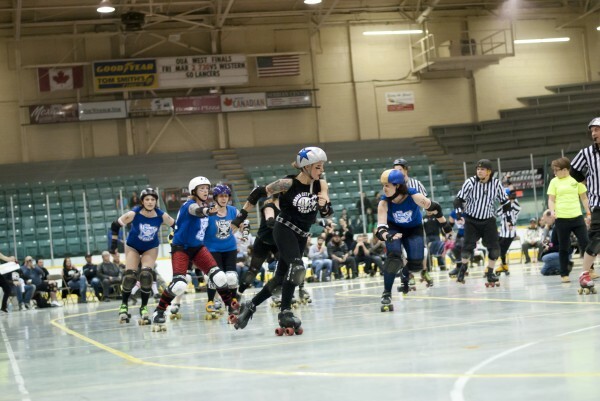 The jam came to a close with Our Ladies of Pain having scored four points, bringing them in a mere two points ahead of the home team, with a final score of 114-112. The crowd certainly got sucked into the flow of the game, with steady cheers filling the arena, until those closing moments when things grew to a dull roar. Undoubtedly everyone played well this evening, and by the smiling faces that could be seen at the end of the game, everyone enjoyed themselves, as well. 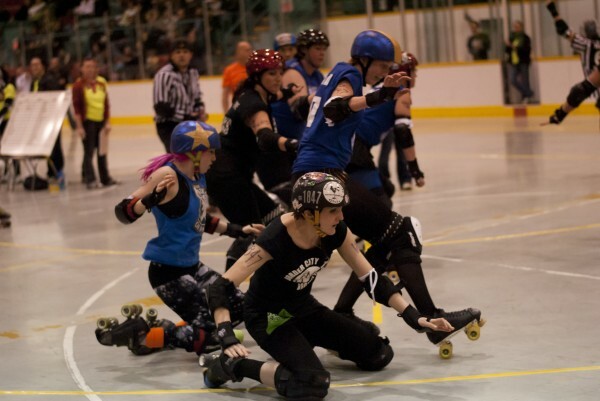 The next Border City Brawlers home game will be on May 26th when the girls take on the Lambton Crude Oil Crushers.